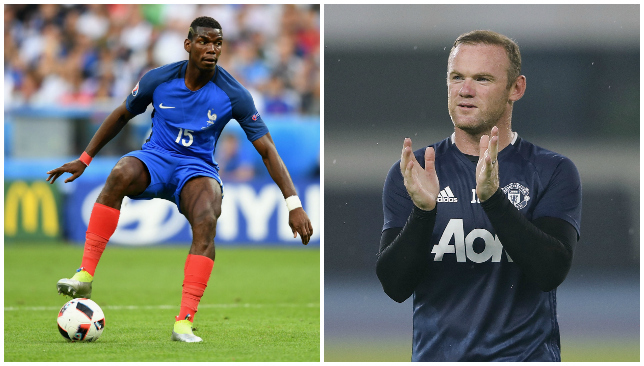 Aye aye, captain: Pogba to bring out the best in Rooney? Former Manchester United star Dwight Yorke believes that the acquisition of Paul Pogba could do wonders for club captain Wayne Rooney. England’s all-time top scorer regularly featured in a withdrawn midfield role under previous manager Louis van Gaal. However, Jose Mourinho made it clear in his very first press conference as United boss that Rooney will be played at the top end of the field. Yorke concurs with Mourinho’s plan and is excited to see Rooney play upfront, especially with the prospect of Pogba supplying him from midfield. “Hopefully, with the acquisition of Pogba coming into the team, he doesn’t have to worry about coming looking for the ball. The ball will finally come to him,” Yorke told Sport360. Yorke scored 29 goals and won the treble in his debut season at United and fully appreciates the value of having top class midfielders in support having played with the likes of Paul Scholes and Roy Keane. 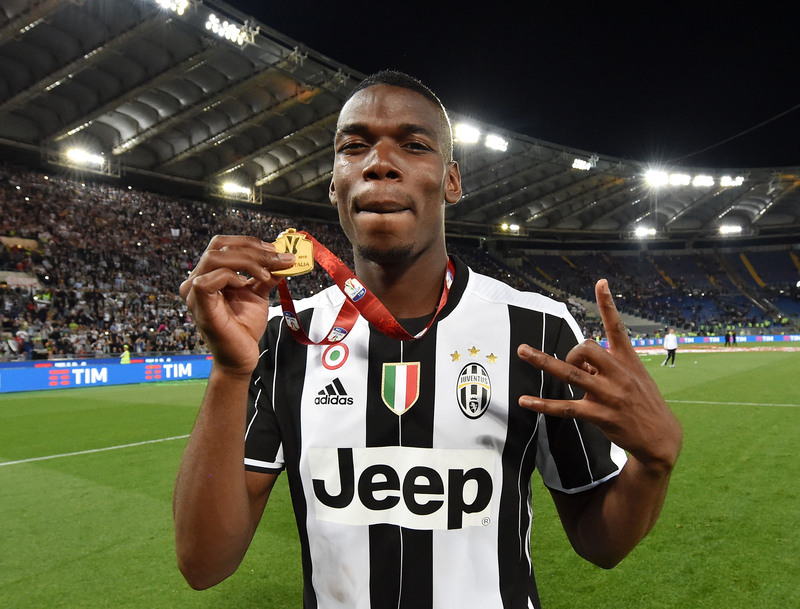 Pogba is widely reported to complete a move to Old Trafford imminently for a world record fee, re-joining the club four years after leaving for Juventus on a free transfer. Each week, Sport360 will bring you tips for the English Premier League’s official fantasy football game. Fancy pitting your wits against us? Join the “Sport360 Fans'” league using the code 118790-38575. The new fantasy football season is nearly upon us and even though there’s still plenty of players switching clubs, it’s always a good idea to get your squad selected early on and tweak it before the first gameweek. This week, we pick out 10 bargains you should consider for this season. This could see you have some money in reserve for when those high-profile signings come in as deadline day approaches. Jordan Ibe’s transfer to Bournemouth came as a surprise given the promise he showed at Liverpool last season. Some at Anfield even rated him higher than Raheem Sterling but Liverpool’s loss is Bournemouth’s gain. Eddie Howe’s attacking philosophy will suit the exciting winger and he’s already hit the ground running at his new club with a fine strike in a 3-3 pre-season draw with Portsmouth. Nathan Ake is another fine coup for Bournemouth as he joins the club on a season-long loan. He was a regular at Watford last season and was the Young Player of the Year, helping the side to an FA Cup semi-final berth. At only 4.5m, he’s a great option to have on the bench while recruiting higher-profile players to start. This is one to keep an eye on. Palace wouldn’t spend £1.5m on a French international goalkeeper if they wanted him to sit on the bench all season. Then again, Wayne Hennessey was brilliant in the last campaign and it would be harsh to have him play second fiddle. Nevertheless, Mandanda is different class and vastly experienced. He’s notorious for making phenomenal saves and was Ligue 1’s Goalkeeper of the Year for the last two seasons. Easily one of the best players for Burnley last season, Michael Keane could be a very handy FPL buy. Not only was he a rock at the back but he scored five goals and made three assists in the Championship last year. Not too shabby for a centre-back. The Uruguayan international was less than convincing when he first arrived in England and scored just four league goals as Hull City were relegated in the 2014-15 season. However, he really came into his own last year in the Championship, scoring 20 goals. Despite his exploits particularly in the second half of last season, Patrick van Aanholt retains a fairly low price tag. The marauding left-back scored six goals and provided four assists last year and is great value for money. Alvaro Negredo enjoyed a fantastic spell at Manchester City not too long ago when he seemed almost unplayable. With a decent turn of pace, a strong physical presence and a hammer of a left foot, he seemed like he was built for Premier League football. However, it all went pear-shaped rather quickly. A loss of form resulted in erratic playing time and having burned so brightly on arrival, he faded just as quickly. There’s no doubting his quality though and after already scoring in pre-season, Aitor Karanka has backed the striker to have his best campaign yet. 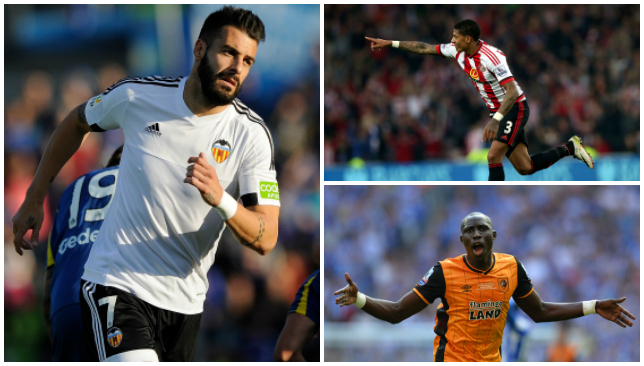 When it comes to budget midfielders, Mohamed Diame is someone who many FPL managers have opted for in recent seasons. The midfielder proved to be great value during his time with Wigan Athletic and West Ham United. With nine goals in the Championship last season, including the winner in the play-off final, the midfield powerhouse is bound to chip in with a useful points tally with his driving runs from the middle of the park. Here’s one for you football hipsters who fell in love with Iceland at Euro 2016. Johann Berg Gudmundsson was one of the best performers for the minnows that took the tournament in France by storm. However, he also had a cracking season with Charlton Athletic in the Championship last year. The rapid winger is known for his left-footed shots and delivery into the box. He bagged six goals and 12 assists last season. For a defensive midfielder, Cheikhou Kouyate spends an awful lot of time inside the opposition’s penalty area. He thrives on towering above defenders from set-pieces and drive forward as well. With five goals and three assists last season worth taking on board. Fancy pitting your wits against us? Join the ‘Sport360 Fans’ league using the code 118790-38575. Conte, 46, took the Stamford Bridge reigns earlier this month, returning to club management after a spell in charge of Italy culminated in a quarter-final exit at Euro 2016. The former Juventus midfielder has been tasked with transforming Chelsea’s fortunes after an abysmal 2015-16 campaign and Maldini, who played alongside Conte at international level for six years, is confident that he can get the job done. “I hope that he will be successful at Chelsea but the Premier League is a different world,” Maldini told Sport360 ahead of his participation in the Abu Dhabi Summer Season. “I think he will need to try and understand the league and to make the players understand what he wants; it’s not easy but I think he will do well there. Conte is widely regarded as one of Europe’s most tactically astute coaches after enjoying three trophy-laden years at the Juventus helm, winning Serie A three seasons in a row. And Maldini feels that notion was cemented by Italy’s recent European Championship campaign, as Conte took a limited side to the last eight – beating Belgium and reigning champions Spain before succumbing to Germany in a penalty shootout. “There were a lot of problems with Italy before Euro 2016, especially because of the midfielders missing through injury,” Maldini said. Conte is the fifth Italian to manager Chelsea after Gianluca Vialli, Claudio Ranieri and Carlo Ancelotti, the latter of whom Maldini played with and under at Milan. The ex-Rossoneri defender sees parallels between Ancelotti and Conte, who has similarly progressed from respected player to respected coach. “Usually midfielders like Antonio Conte, like [Carlo] Ancelotti, like [Frank] Rijkaard – they are born to be coaches,” Maldini said. “But to actually change your life and go from a player to a coach is a big step – you have to be ready, and Conte has always been ready. “Since his first team in Serie B he has shown something different. He is one of the younger coaches who is going to write history in this sport.